Phillips Company of Sun City, Ariz., is recalling all lots of Tetrastem, Diabecline, Tetracycline-ABC, VenomX, Acneen, StaphWash, StringMed, NoPain and LidoMed. FDA inspection found significant manufacturing practices that call into question the safety, identity, strength, quality and purity of unexpired drug products made at the firm during the past three years. Manufacturing practices that are not in adequate control represent the possibility of risk being introduced into the manufacturing process in decreased quality and consistency of the product. No adverse events have been reported to date. 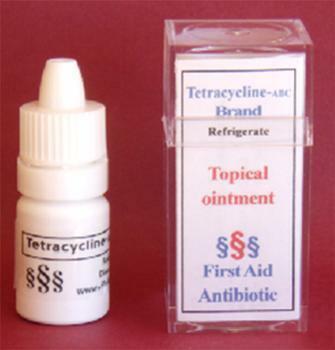 The topical antibiotic products are intended for treatment of minor cuts, scrapes and burns; or as skin cleansers or hair-growth promoters. The recalled products are distributed in 5 mL dropper bottles for topical application. The expiration date is printed on the label on the bottle. The products were distributed nationwide as wholesale products. Customers who purchased the recalled product should stop using them and return any unused and unexpired portions to the manufacturer. Consumers with questions regarding the recall may contact Phillips Company by e-mail at hp@valliant.net) or by phone at 580 746 2430 Monday-Friday, 9 a.m. to 5 p.m. (CT).